The best holiday gift ideas and headphone deals you should bank on right now. Looking for a good holiday gift for your loved ones? Here are the best headphone deals that make a fantastic present for this celebration season. We picked models for all needs and budgets, and we’re sure you’ll find something that suits you. Also, check out current headphone deals to save the extra money and buy more gifts (with the same budget) for more joyful and grateful holidays. When Will Holiday Deals on Headphones Become Available in 2018? How to Get the Best Headphones to Give for a Holiday Gift Based on a Person’s Lifestyle and Hobbies? Holiday Shopping for Headphones: What to Expect from Headphone Deals? What Headphone Brands will Have the Best Deals in the 2018 Holiday Season? No holiday deals at the moment. We’ll update this during next holidays! Here are some of the best headphones you can give as a gift for this year’s holidays. Below are the top-rated and most popular headphone models that would make a fantastic present. You can find a good option for a smaller budget too (scroll towards the bottom). 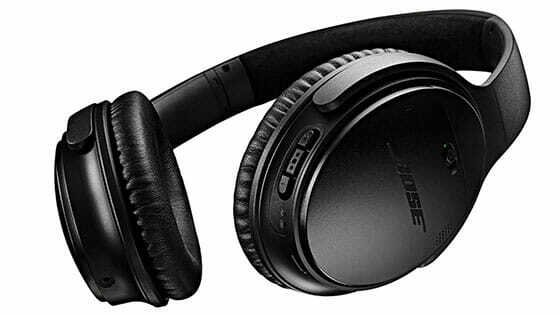 Bose QuietComfort 35 (Series II) are one of the best noise cancelling headphones on the market. If you’re looking for amazing sound, amazing noise cancellation, and “feathery” comfort, then check these out. These Bose headphones have an appealing design. They are amazingly comfortable due to well-padded, soft and lightweight cups. Plus, a decently flexible headband and well-made overall design provide long durability. The ANC technology is best-in-class. It blocks most of the background noise. You can totally shut the world around you. In addition, up to 20 hours of battery (using ANC and Bluetooth) make them a worthy travel companion even on the long flight. So, if you’re looking for a perfect gift for an avid traveler that flights frequently, these are a fantastic choice. Kind of pricey compared to other headphones but premium quality comes at a price. The sound these over-ears produce is balanced. The bass is consistent and has just the right amount of punch. It’s a perfect sound for music, watching movies or surfing the web. Bose QuietComfort 35 (Series II) are a perfect gift for a traveler. They make the world around you quiet so you can focus on music. And, great comfort makes you forget about them which is what you want. Sony WH1000XM3 are the best sounding noise-cancelling headphones. If you want all the latest technology in your pair of headphones and the best sound quality, then WH1000XM3 are your top choice. First of all, their sleek premium design will catch your eye instantly. You can fold them into a more compact format and take them on your adventures. Additionally, soft cups provide long-term comfort. And, easy to use remote buttons help you manage tracks and take calls (with their good-sounding microphone). These Sony headphones have one of the most effective noise cancelling on the market. ANC works perfectly in stoping surrounding noise from bugging your eardrums. Moreover, you won’t have to worry about the low battery. With up to 27-hour battery life, it will make your worries go away, (work with a cable too). Their noise reduction is on par with Bose but arguably a bit less effective. Though it probably comes to personal experience and there’s no real proof of that. Overall sound quality is fantastic, the best of any ANC headphones yet. It’s slightly midrange emphasized, but only trained ears will hear it. Nonetheless, they sound great at playing all music genres which makes them a perfect all-rounder, even for demanding music lovers. Fantastic audio quality is Sony WH1000XM3’s greatest advantage. It will satisfy even more demanding users. But what makes them really stand out is their great ANC technology and comfort. A perfect gift for anybody with demanding ears. Bose QuietComfort 20 are the best noise cancelling earbuds you can find. If you’re looking for comfy noise cancelling earbuds, then you should read below. The Bose earbuds are well-designed and durable in-ear headphones. Although they look built simply, they can serve you for a long time. Keep note, the earbuds don’t enter the ear canal as usual earphones (these lie on the outside). That gives them extremely comfortable fit. Stability isn’t a problem either. You can use them in the gym or for running as well, just know they aren’t sweatproof. The biggest advantage is their amazing noise cancelation performance. They cancel a great deal of ambient noise. Also, the tight seal stops your music from leaking. The only bad thing about these is that they’re wired. Their sound signature is somewhat balanced. It’s suited for all music and for the general audience. If y0u’re an audiophile, then you already know ANC earbuds don’t compare. 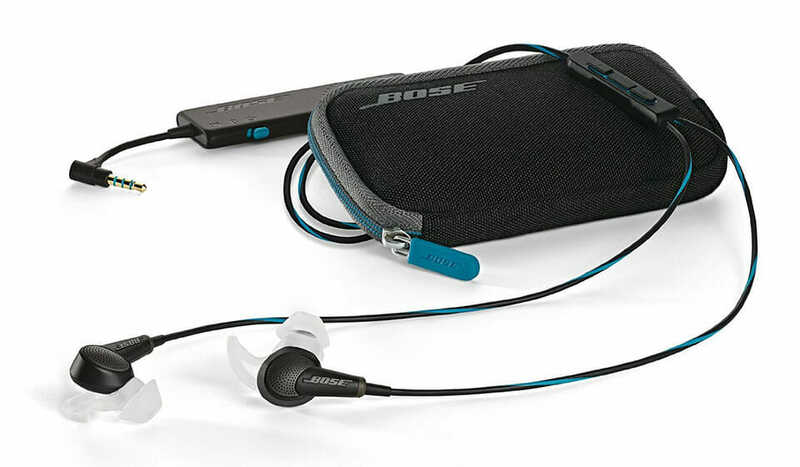 Bose QuietComfort 20 are earbuds with superb comfort and durability. They’re perfect for use on a daily basis when you want to shut the world out. A great gift for anyone who wants private listening from a small package. 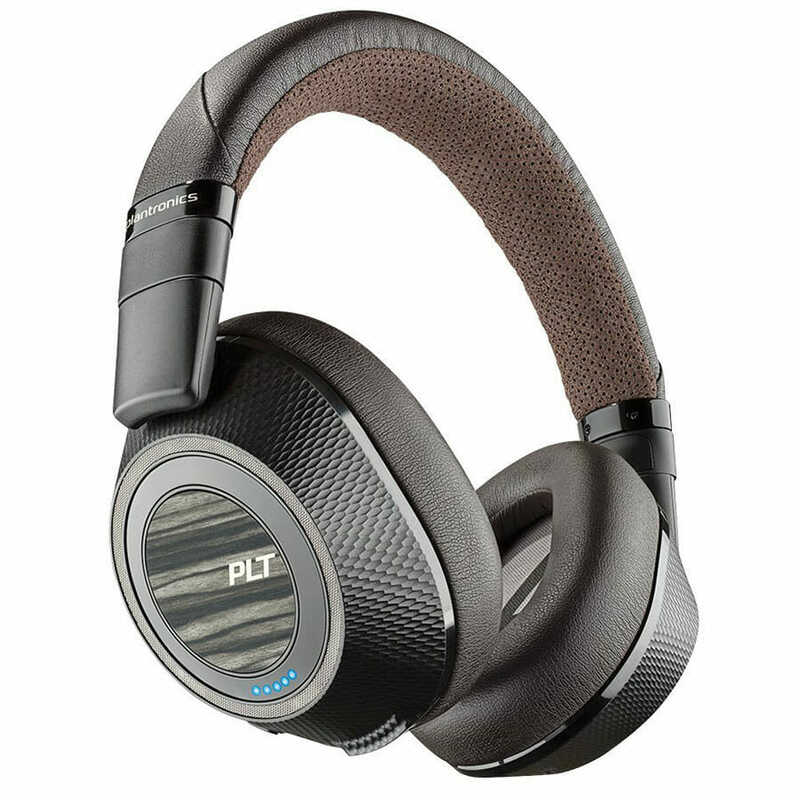 Plantronics BackBeat PRO2 are the best noise cancelling headphones under 200$. Do you want a more affordable yet still high-end noise cancelling headphones? These are it. Modern yet sturdy design makes them really pop. Large ear cups are softly padded and provide high comfort for hours. Plus, the battery lasts up to 30 hours. A full recharge takes only 2 hours, which is impressive. You get an additional audio cable so you can use them wired too. If you’re using these over-ear headphones in normal (not too loud) environments, then the ANC technology works terrific. On top of that, they don’t leak a lot. So you can listen to your music at high volumes and not bother people around you. The bulky design makes them awkward to carry around. In addition, their noise canceling isn’t best-in-class but pretty close. Their sound signature consists of enhanced bass and clear, well-balanced treble. Bass is heavy and punchy, which may satisfy bass enthusiasts, but bother audiophiles. Nonetheless, it’s an enjoyable sound quality that more than deserves its price tag. Plantronics BackBeat PRO2 have impressive, long battery life, which is perfect for traveling. And, considering they cost under $200 which is much cheaper than the premium $300+ you’re getting a lot of value for your money. One of the best choices for a person who likes high-quality for a fair price. 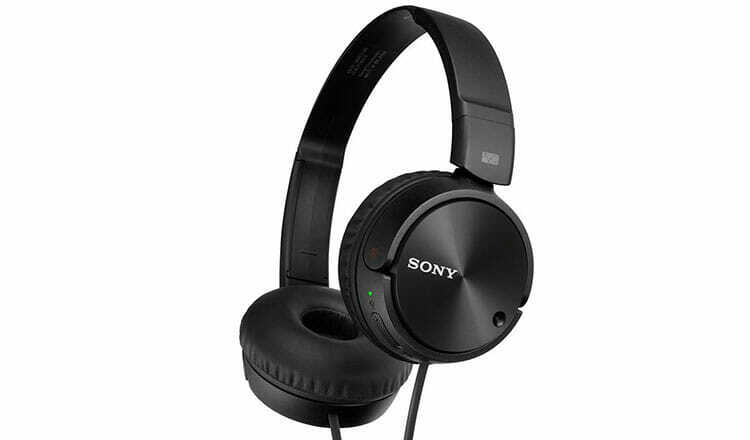 Sony MDR-ZX110NC are affordable active noise canceling headphones. If you’re looking for somewhat cheap yet still quality noise-canceling headphones, then check these. Sleek design makes them look premium even though they’re not. They’re built well and can survive most of the innocent drops. Plus, they fold flat into a compact size, which makes them portable. Cups are well padded and provide solid comfort for daily use. Battery lasts up to 80 hours. Since they’re wired the battery powers only noise cancellation. They don’t have one of the best noise cancellations on the market, but better than alternatives for the price. Airplane engines and loud crowds won’t be a problem anymore. Just turn on/off when needed. A mic is also there so you can make calls without a problem. Because they’re cheaper headphones, they can’t really compare to more expensive models. And they’re wired, which some people might dislike. Their sound signature is rather balanced. It’s a good sound without major issues, perfect for an average listener. 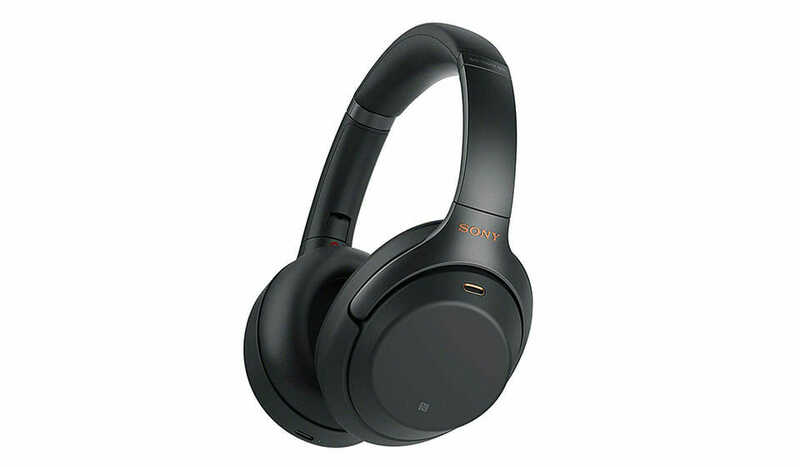 Sony MDR-ZX110NC headphones compete with their simple yet reliable ANC technology, comfortable design, and a cheap price. A great gift for a budget conscious person. Jabra Elite Active 65t are the best true wireless earbuds you can give as a gift in 2018. If you’re looking for comfy wireless earbuds you can use for sports as well as everyday life, then get these Jabra’s. The high-end looking design is lightweight and fits most of the ears. They provide a tight fit. Also, they stay in your ears even if you’re running or doing high-intensity workouts. Sweat and water resistance make sure your sweaty workout won’t harm them. Tight fit also provides impressive noise isolation. There are more features you get. Like built-in control buttons, Siri/Alexa voice control support and a solid 5-hour battery life (with 10 hours more in the case). This is quite impressive for true wireless earbuds. People with small ears might find them too big and uncomfortable to wear for long. The sound they produce is rather balanced. Bass has just the right amount of kick that gives an extra push when needed. Overall, one of the best sounds in the category. 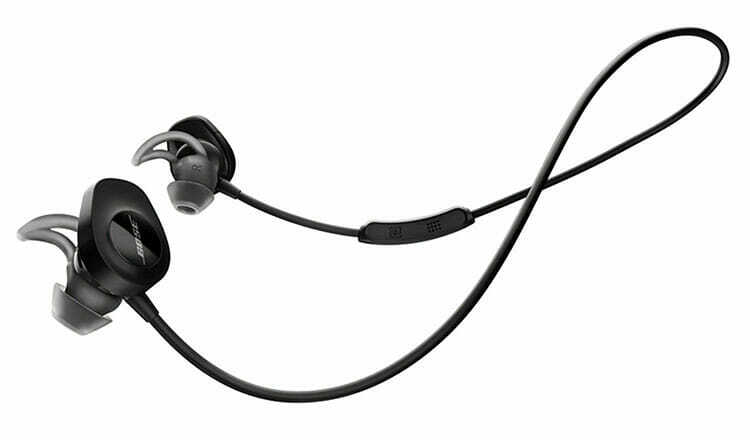 Jabra Elite Active 65t are a perfect gift for a gym rat, a marathon runner or any other sportsperson. When it comes to workout headphones, you can’t get better than that. On sale right now, 50% off. Jabra Move Wireless are on-ear Bluetooth headphones under $50 with features above their price. If you’re looking for good wireless headphones under 50 buck, the Move Wireless are a great choice. Although they are relatively cheap, they don’t look like that at all. In fact, they look quite high-end especially because of the fabric coated headband. Overall, the design is bold, fun, and quite lightweight. Their Bluetooth connection is solid as a rock. The battery lasts up to 8 hours and, if that’s not enough, you can plug in the cable and enjoy your music. What makes them really stand out is their value-for-money as there aren’t many headphones with the same features and sound quality for the same price. 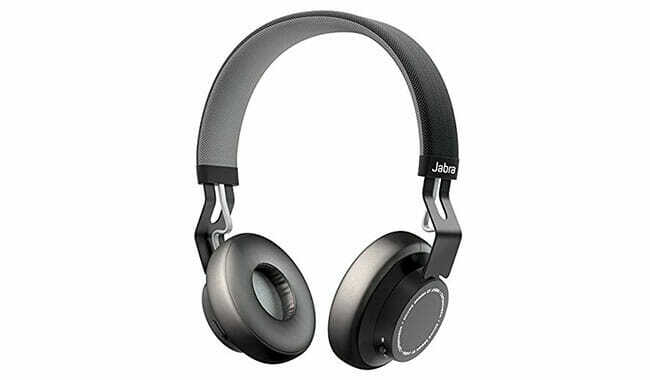 Due to on-ear design, the Jabra headphones might get uncomfortable after some time. Plus, 8 hours per charge might be a little short for some people. The sound they produce is average at best. All ranges are somewhat balanced. The reason is their affordable price and design that fits the tastes of most people. Don’t expect a high-end experience and you’ll like them. 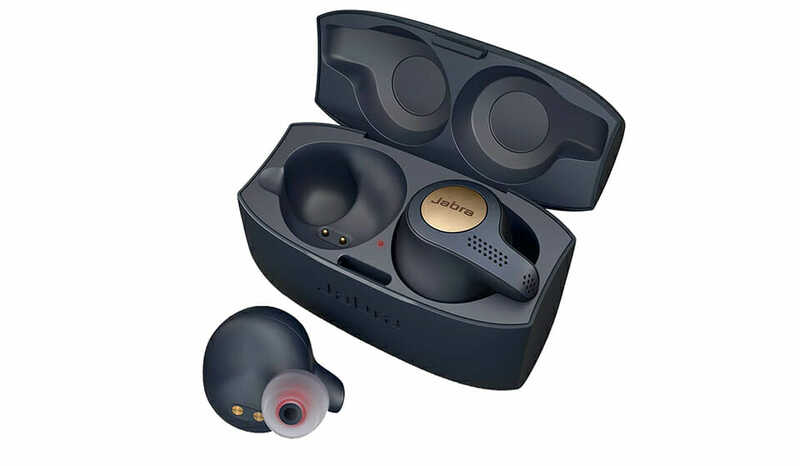 Jabra Move Wireless are an excellent affordable gift option for those who want wireless headphones that are portable and thus suitable for everyday use. 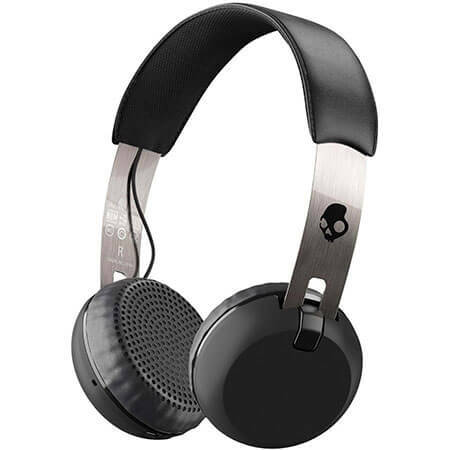 Skullcandy Grind Wireless are cool-looking and popular on-ear headphones with Bluetooth technology and under $50 price. Lots of kids and those a little older like these for their unique design and loud (full of bass) sound. They’re fun, look good and don’t cost a leg and an arm. Modern design makes them look cool and attractive to the younger audience. The comfort they provide is better than most on-ear headphones due to soft padding on the ear cups and their lightweight frame. The on-ear cans also come with remote buttons and built-in mic which come handy for managing music and calls. Also, the battery lasts up to 15 hours, and they can be used in wired mode as well. Noise isolation isn’t their best feature. They leak music if you’re listening to high volumes. Their sound consists of slightly enhanced bass. It is not overwhelming. Other ranges can be heard too. But, generally, it’s geared towards a younger audience who prefers stronger lows. Skullcandy Grind Wireless are great wireless on-ear headphones for daily use. Unique design with an attractive bassy sound makes them a perfect gift for a younger person. 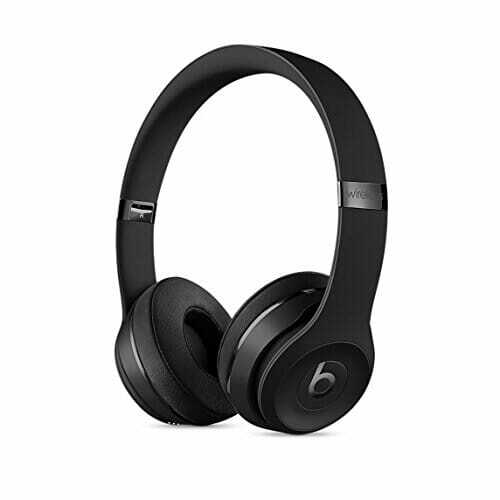 Beats Solo3 wireless are probably one of the most wanted headphones on Santa’s wish list. Let’s see what the fuss is all about. If you can splash extra money on headphones with the “cool” factor then Beats headphones are definitely for you. All Beats headphones are very stylish, and this model is no different. It is sleek and chic and never goes out of style. They are also portable because you can fold them into a compact format. Ear cups are well padded, and that makes them comfortable to wear. Since these are made of high-end materials, they last a long time. Add an amazing, up to 42-hour battery life + a wired option makes you understand why many people swear by these. Long listening sessions can make your ears hurt because of their tight fit. Also, the noise isolation is not the best. Plus, these are pricey as all Beats headphones are. Bass-heavy sound signature overpowers other ranges which is what Beats fans like. It’s not for those shy of bass. Many people love it and as many hate it. It’s a personal taste really. Sure, Beats Solo3 Wireless are quite pricey, but you get high-end features and performance in one of the coolest, fashion-stating designs on the market. SteelSeries Arctis 7 Wireless is the best gaming headset for most gamers in 2018. If you’re looking for a great pair of gaming headphones that have clear sound and a good microphone, then check the Arctis 7. Their lightweight design is well-built and extremely durable. Headphones are made out of quality plastics. Ear cups are large, well-padded and breathable, they suit even the biggest ears. Also, tight fit also gives good noise isolation so you don’t bother others around you. The microphone is well made, it can retract to the left ear cup, and is clear, distortion-free most of the time. Additionally, 24 hours of battery life makes them perfect for long gaming. And, you can use them in wired mode as well. Compatible with PC, Mac, PlayStation4, and Xbox One make them a flexible choice. Their fit might be too tight for some people. That’s why they may get uncomfortable for people with wide heads. Geared for the ultimate gaming experience, you get virtual surround sounds for the immersive gameplay and a nice bass boost when you want more oomph in your music. Overall, it’s a well sounding and versatile gaming headset that does well for music and movies. 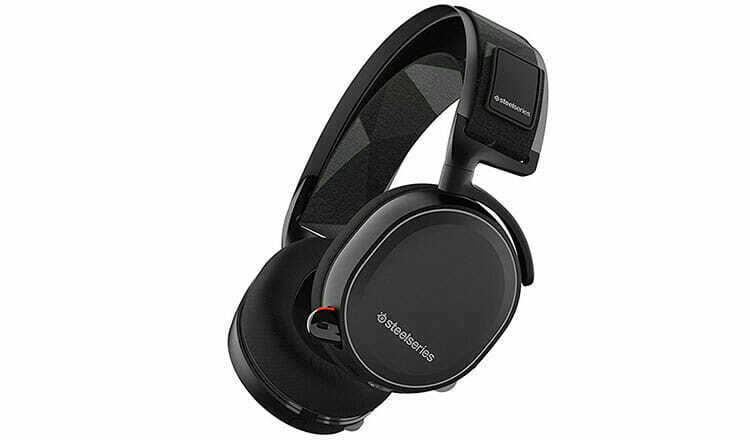 What makes SteelSeries Arctis 7 Wireless headset an excellent choice is its high-quality sound, great build quality, and comfy design. Its versatile features make it suitable for gaming and every day listening to music. If you’re buying a gift for a gamer, this headset will make them happy. HyperX Cloud Alpha is the best wired gaming headset on the market in 2018. Some people prefer wired headsets for gaming because you don’t have to deal with battery charging. If you’re are one of those, check out the Cloud Alpha. Their old but proven design is lightweight and lasts a long time. The ear cups are well padded and deemed one of the most comfortable gaming headphones today. Even if you’re using them for extended gaming, your ears won’t hurt. The microphone is just amazing. It transmits your voice smoothly and clearly. Even in noisy environments, these headphones do a great job. It’s a proven product that’s been the go-to gaming headset for professionals for years. The only con is the lack of virtual surround sounds if that’s important for you. It’s a stereo headset with analog 3.5mm plugs. Features sound with strong bass and neutral mids make them perfect for gaming as well as listening to music. Good detail separation makes them an important tool in competitive gaming. In the end, versatile audio quality makes them suitable for many music genres. 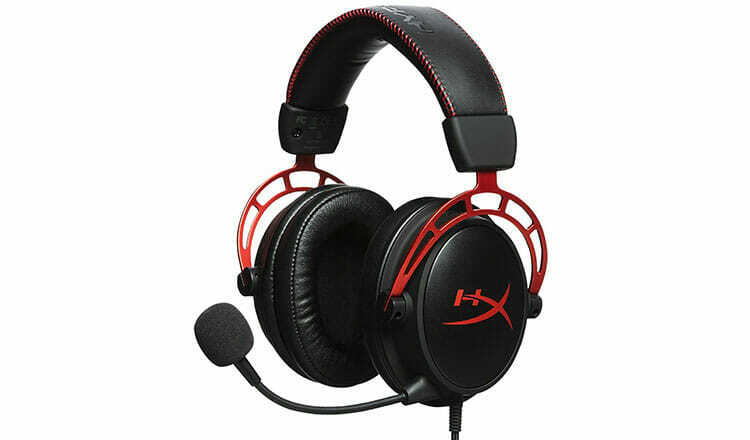 HyperX Cloud Alpha gaming headset is the go-to choice for many gamers because it does important things right. It’s comfy, sounds good, doesn’t break easily, and you can get it under $100. Logitech G430 is the best value gaming headset right now. Do you want to get a good bargain for a gaming headset? Need a gaming headset for a gift but don’t want to spend too much money. This one is a great choice. Well-padded cups provide good fit and comfort. Cups are large and spacious and fit most adult ears (and kids’ of course). Probably the best thing about this wired headset is the above-average microphone. It’s clear and without the annoying buzzing sound. And, what makes the headset better than the competition is their affordable price under $50. Not to mention 3.5mm and USB connectivity. A great bargain for every gamer. It might be too tight on the head in the beginning. But that’s not a big problem since they loosen after some time. The overall sound is rather average but with deeper bass and virtual surround sound support. This is something few gaming headsets at this price range offer. It’s great for immersive gaming as well as music and movies. 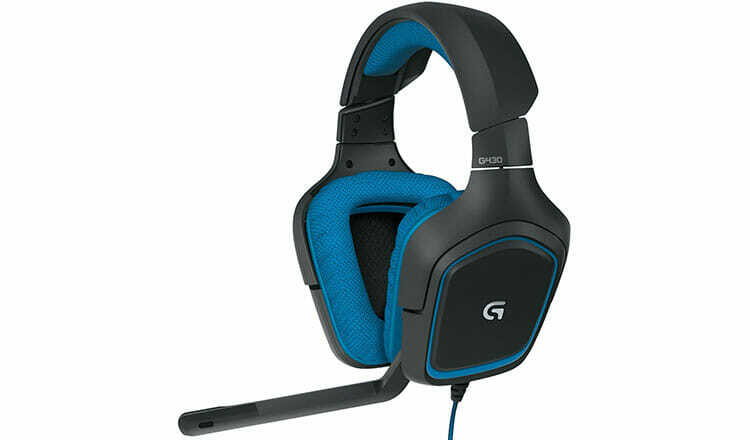 Logitech G430 is a solid gaming headset with a fantastic price of under $50 which makes it one of the best on the market. If you like value-for-money products, this one is one of them. Bose SoundSport Wireless are the best workout headphones for most people. If you need a pair of workout headphones that do everything right and don’t cost a fortune, Bose SoundSport are the way to go. These Bose earbuds are lightweight and have an extremely comfortable fit. What makes them different from normal in-ear headphones, is that they don’t fully enter the ear canal. Once you put them in, they stay there no matter what. Plus, your sweatiest workouts cannot hurt them, because they are sweatproof. Add an in-line remote with a microphone, a battery life up to 6 hours, and typical Bose audio quality and you’ll understand why these are so popular. Noise isolation isn’t their best feature. That’s mostly because of their semi-open design. But that can be a good thing if you’re a runner, so you hear your surroundings better. The sound they produce is rather balanced. Bass is deep and generally well-balanced. You can enjoy many music genres, from classical to pop. Because of their semi-open design, their soundstage is a bit wider and more open. Bose SoundSport Wireless earbuds are a great companion in the gym or while running. Their marvelous sound makes them a really good choice for anyone that likes to turn up the music and enjoy the moment. Origem HS-1 are cheap wireless headphones and are a perfect gift on a budget. These budget Bluetooth earbuds are suitable for sports, have great battery life, comfort, and noise isolation. All of it for under $40 is a steal. Although they might look big, they are still lightweight. That means they are comfy when you find the right eartips. 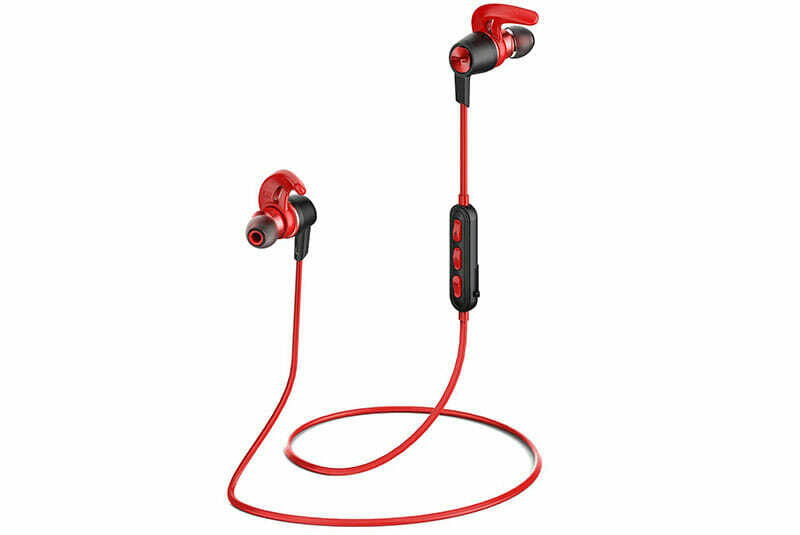 The wireless earphones are suitable for your high-intensity training due to stable fit. The tight fit also provides a great deal of noise isolation. Durability is another thing you don’t have to worry about. They are IPX7 certified which means completely waterproof. In addition, you get up to 10 hours of music per charge which is impressive for their price. There’s lots to like. Their big and bulky earbuds might be uncomfortable for people with smaller ears. And, finding the right setup is absolutely crucial which many people don’t know how to do. They produce a V-shaped sound. Typical emphasis on treble and bass makes your music fun and dynamic. It’s not the best for classic but that much better for modern, pop and hip-hop music. You don’t need to pay much for Origem HS-1, but you get lots of technology for it. Lovely sound quality, excellent stability for sports, water-protection, and superb battery make them one of the best for the price. The full review of Origem HS-1. KZ ZST earphones are, without a doubt, one of the best cheap in-ear monitors you can find. If you’re looking for budget earbuds with fantastic sound quality you’d expect from $100 earphones, then read on. These in-ears have better durability than most of under $20 headphones. If you treat them right, they can last a long time (have detachable cables). Plus, the lightweight design makes them comfortable to wear for hours. And, the memory wire helps them stay in place. That’s why you can use them for jogging though it’s not advised since they’re not sweatproof. Add an in-line remote and microphone, which is rare at this price range, and you’re getting a lot of value for measly 20 bucks. 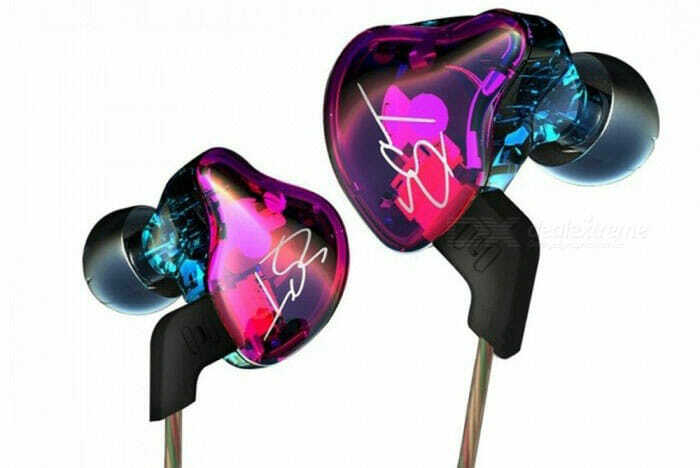 Considering the price there’s nothing to complain, but if wanted to improve some things, we’d add water-protection and better (memory foam) eartips, which are lacking. Slightly V-shaped sound signature is made out of deep, consistent bass and detailed treble. Excellent instrument separation and basically zero sibilance make them fantastic for the price. They really do sound like $100 earbuds. A must-have for any audiophile on a budget. The most audio quality and durability in earbuds 20 dollars can buy today. This makes them a wonderful gift for kids and adults that value music quality. The KZ ZST full review. Headphone deals are always available but usually just a few with a small discount. To get a fantastic bargain, it’s worth waiting for the big “shopping holidays” like Black Friday and Cyber Monday and the following Christmas, Hanukkah and New Year’s deals. Other holidays worth mentioning are Back to School days at the end of the summer and Amazon’s Prime Day. Not all headphones are made the same. Some are designed for a specific use or for a certain type of people. For example, kids headphones are smaller, have safety features like the volume limiter and usually sport bright colors. Workout headphones are one of the most popular categories. These are perfect for active people who work out in the gym and run on a treadmill or outside. If your family members and friends are gamers, then a gaming headset is a fantastic gift idea. It’s part of the essential gear for any platform (PC, Mac, PS4, Xbox One, etc.) and can be useful for Skyping and online chat as well. For frequent travelers, active noise cancelling headphones are the best choice. The ANC headphones cancel out the background noise, especially airplane engine noise and traffic noise, which make them perfect for most modes of transport. In case you’re looking for a holiday present for somebody that you know travels a lot, noise cancelation headphones are the way to go. There are many tastes and needs and a pair of headphones to fit. Know the wishes of your loved ones and pick the right fitting present to make the holidays really special for them. The holiday season is a great time to do your headphone shopping because you can often find good discounts and special deals. Now, you don’t have to buy them during the holidays, but it’s worth checking out for any headphones that might interest you. Companies know that people do the bulk of their shopping on holidays, especially at the end of the year and Christmas celebrations, so they put in an extra marketing effort to increase sales. This is good news for you because you can take advantage of it. “What kind of headphone deals can I get,” you ask. The special headphone deals usually don’t change hourly, and there aren’t as many available as on Black Friday and Cyber Monday, but you can still find them. Very often deals last for days but also aren’t as heavily discounted. Nonetheless, if you missed the Black Friday sales, you’ll have to wait another year for the same % price decreases. Your second best bet is to find a good holiday headphone deal that fits your needs. There are many bricks and mortar places as well as online web stores that will have holiday deals on headphones. You can buy at most stores as there aren’t any major differences between them. Nonetheless, the easiest and most convenient way to buy gifts is still online (lots of people do it). Internet retailers usually offer free shipping or cheaper rates during holidays to encourage people to buy from them. It’s a good thing if you like the lazy way of shopping. Sit home on your couch, browse products and the postman delivers them to your door, before Christmas if you order soon enough. Many people want to know what headphone brands will have the best deals or what headphone types will get discounted the most, but it’s impossible to know. Companies usually keep their special deal plans a secret right before releasing them. Most probably they decide on the go depending on what kind of sales they get. So, at the moment, no magical machine can look into the future and tell you which headphone deal you should wait for. It’s a bit like gambling. When you find headphones that would make an excellent gift for your family and friends, it’s smart to take advantage of it. Because it most probably won’t be available again soon.